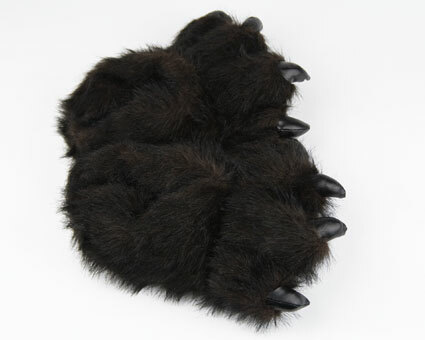 You might just have the urge to hibernate through the winter when you step into these cozy black bear paw slippers. 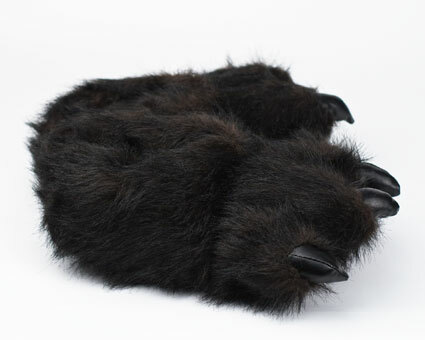 Not only are they wildly amusing, the black bear paw slippers also provide full coverage and thick, plushy soles. 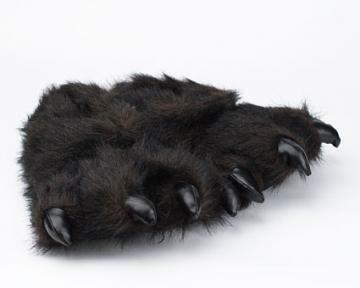 They make an ideal gift for outdoor enthusiasts and the mountain man (or woman) in your life. They're great for cosplay or around the house. 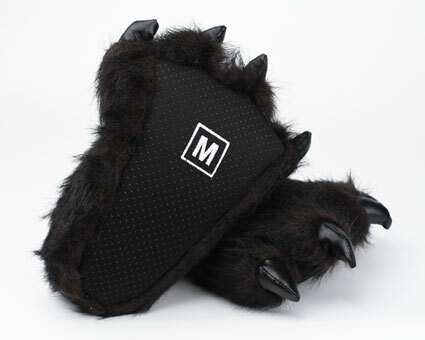 Well insulated to keep my paws happy on all occasions. Very well made, I've been rough on mine and they have definitely passed my test. Disadvantages: My friends find out I'm awesome. 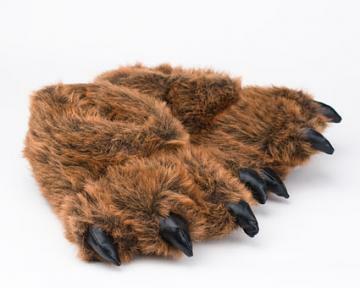 I bought the slippers for a gift. What a success my husband loves them. The shipping was fast also! Thank you so much! I got these for my boyfriend and he really loves them. 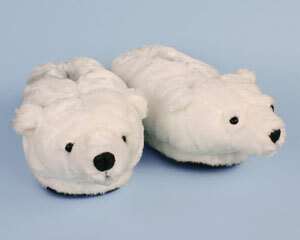 His feet run a size 12 & it's hard to find fun slippers for him, but your large size is a perfect fit. 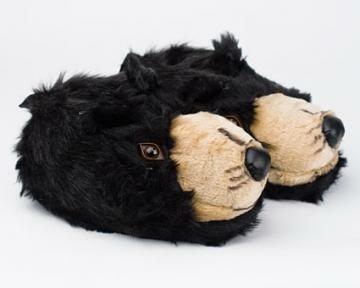 Advantages: These slippers run true to size. 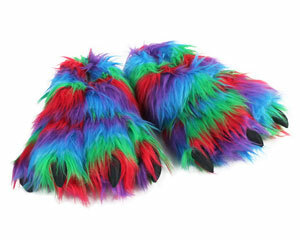 They are great novelty slippers, also. Disadvantages: They take a little getting used to walking in because they are oversized. Stairs are slightly difficult to manuver in. Loved the accuracy and speed my order was handled with thank you! Our order came in sooner than expected. Excellent quality! Very satisfied!